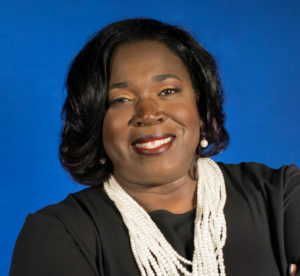 Ms. Jameece Pinckney is the President and CEO of HyQuest Consulting Solutions. Ms. Pinckney, who founded HyQuest, has served as a senior-level executive in the government contracting industry for more than 16 years. She brings expertise gained in multiple leadership roles in contract management, finance and accounting, project control, procurement, risk management, business ethics, and compliance to her role. Ms. Pinckney formulates and leads the execution of the company’s strategy for delivering leading solutions to address our customers’ critical challenges. She most recently served as the Director of Contracts and Procurement for Pragmatics, Inc., a mid-tier government contractor in Reston, Virginia. She previously held positions with organizations including HydroGeologic, Inc. and Halliburton/KBR and served as a consultant with Naval District Washington. Ms. Pinckney has a Master’s Certificate in Government Contracting from George Washington University School of Business; a Juris Doctor from the University of Cincinnati College of Law; and a master’s degree in administration and supervision and a bachelor’s degree in chemistry, both from Tennessee State University. Ms. Pinckney devotes much of her spare time to The OPHELIA Foundation, a nonprofit organization she founded in 2014, and to the Northern Virginia Alumnae Chapter of Delta Sigma Theta Sorority, Inc., as chapter president. Mr. Gil Pinckney is the Chief Operating Officer of HyQuest Consulting Solutions. Mr. Pinckney is a highly decorated U.S. Army veteran and brings over 26 years of CONUS and OCONUS procurement and acquisition experience to HyQuest Consulting. His expansive portfolio includes successfully managing million-dollar subcontracts and procurement acquisitions as a procurement consultant in Africa, Germany, Iraq, and Kuwait. As COO, Mr. Pinckney is responsible for the effective operational performance of the company’s government and commercial contracts. He provides oversight for the development, design, operation, and improvement of the systems that create and deliver the firm’s high-quality products and services. 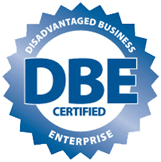 Mr. Pinckney leverages the company’s performance excellence to increase growth and deliver optimum customer satisfaction. Mr. Pinckney serves as Chairman of The OPHELIA Foundation. Mr. Allan Chong is the Vice President, Business Development of HyQuest Consulting Solutions. He is the senior-level executive responsible for growing the company’s business relationships. 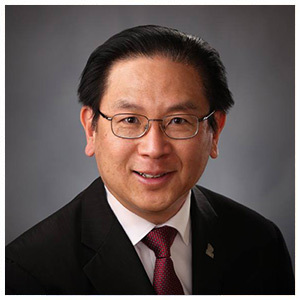 Mr. Chong has served in senior management positions in both large and small businesses, with program management and business development responsibilities in the federal civilian and defense government contracting industry. 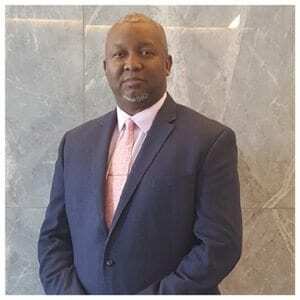 He is also a subject matter expert in both military and civilian human resource management and a career retired Army officer with more than 22 years of service in a wide variety of senior management and command positions. These included garrison command, two company commands, and assignments manager in the Army’s human capital management community. He also served as a White House military aide during the Reagan administration. Mr. Chong has a bachelor’s degree in mechanical engineering from New York University, a master’s degree in human resources management from Troy University, and a master’s degree in administration from Central Michigan University. Linda Alkire is the Director of Marketing and Communications for HyQuest. As a member of the HyQuest management team, Ms. Alkire is responsible for the company’s strategic marketing and communications plans, media relations, public relations and brand management, internal communications, executive communications, and social media. She is also responsible for the development and oversight of HyQuest’s philanthropic activities. 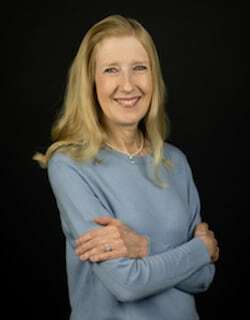 Ms. Alkire brings more than 30 years of marketing and communications experience, gained in multiple roles in privately held and public companies, nonprofit organizations, and as a consultant, to her role. Prior to HyQuest, Ms. Alkire served as the Marketing and Communications Manager for Pragmatics, Inc., a mid-tier government contractor in Reston, Virginia. Ms. Alkire has a bachelor’s degree in English from California University of Pennsylvania.